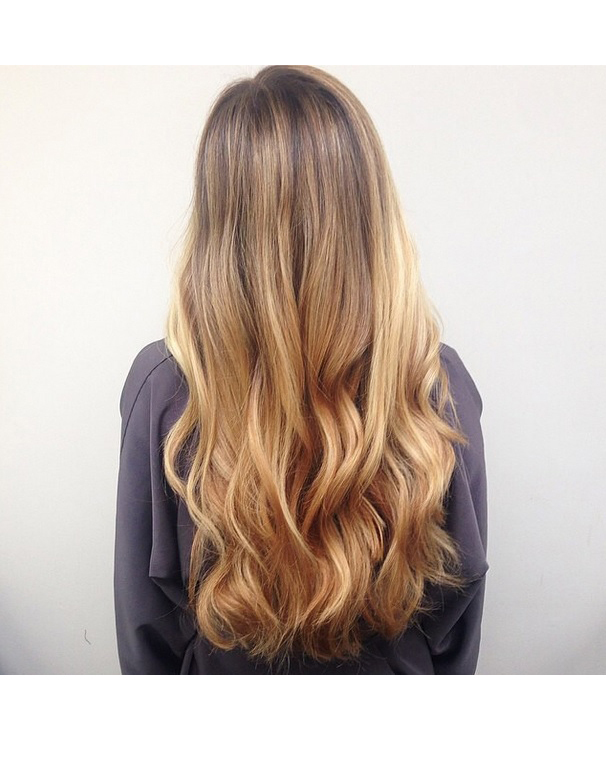 How lovely is this shade of natural, honey blonde? Colorist Kacey Welch gives her client superfine highlights near the roots and slowly blends the color lighter towards the ends. Stylist Allie Paronelli completes the look with a gorgeous wavy cut and style.